Ford Forums - Mustang Forum, Ford Trucks, Ford Focus and Ford Cars > Vendors > CARiD.com > Spring Savings from BedSlide at CARiD! 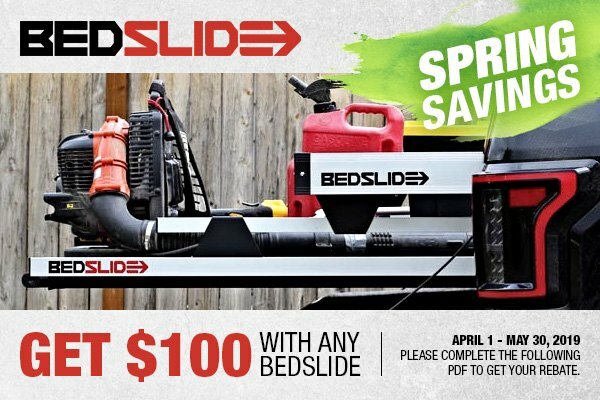 Spring Savings from BedSlide at CARiD! Gift season at CARiD continues! This time you have a great chance to get $100 back with the purchase of any BEDSLIDE product. This offer expires on May 30, 2019. If you've ever strained yourself trying to grab hard-to-reach objects out of your truck's bed, you'll definitely appreciate BedSlide products. Their revolutionary cargo management solutions are designed to make your life easier and ensure that your cargo rolls out to you, safely and securely. BedSlide uses only top-grade materials to manufacture super durable sliding trays that will hold up to 2,000 lbs. Their products are also made from 100% weather-resistant materials for long-term service. Make your truck-owning experience better with BedSlide! Please complete the following PDF to get your money back.